Maria Sharapova speakings about her failed drug test at the Australia Open during a news conference in Los Angeles. Sharapova has been suspended for two years by the International Tennis Federation for testing positive for meldonium at the Australian Open. 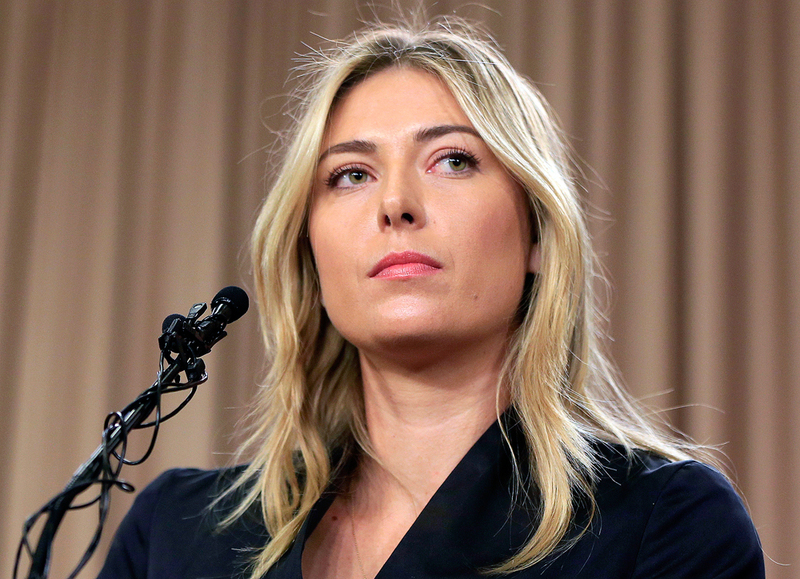 The Court of Arbitration for Sport confirmed in its statement on Tuesday that it ruled to reduce the suspension term of Russian tennis star Maria Sharapova from 24 to 15 months. Shamil Tarpishchev, the president of the Russian Tennis Federation (RTF), told TASS earlier in the day that the Court of Arbitration for Sport (CAS) reduced the suspension term for Sharapova, who was banned for two years over doping-related charges since Jan. 26. Tarpishchev added that Sharapova could now officially return back to tennis courts starting April 26 next year. The Court of Arbitration for Sport (CAS) has issued its decision in the arbitration procedure between Maria Sharapova and the International Tennis Federation (ITF)," CAS said in its official statement. "The CAS Panel in charge of the matter has reduced her period of suspension, by nine months, from two years to fifteen months, beginning on Jan. 26, 2016." "I have taken responsibility from the very beginning for not knowing that the over-the-counter supplement I had been taking for the last ten years was no longer allowed," Maria Sharapova said in a statement posted on her Facebook account. "Now that this process is over, I hope the ITF and other relevant tennis anti-doping authorities will study what these other Federations did, so that no other tennis player will have to go through what I went through," Sharapova added. On June 9, Sharapova filed an appeal with the CAS in Switzerland’s Lausanne against her two-year suspension, which was imposed on June 8 by the International Tennis Federation’s (ITF) Tribunal over anti-doping violations. Due to the imposed ban world’s former No. 1 Sharapova had to miss the 2016 Summer Olympic Games, held in August in Brazil’s Rio de Janeiro. In early March, Sharapova announced that her doping tests revealed the presence of performance enhancing drug meldonium in the body system. Following the announcement, former World’s No. 1 was provisionally suspended from all tennis-related activities.